There are several common grammatical mistakes that haunt everyone: even writers. 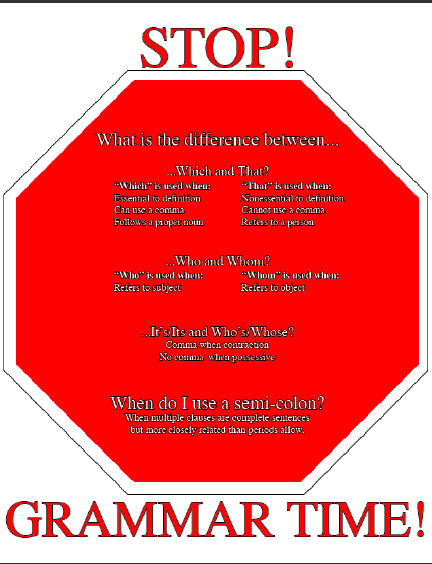 In order to overcome this grammatical wasteland, you have two choices. Graphic created and compiled by Stacy Tritt, Brigid Cain, and Kate Scott. Included in the graphic above are some of the most common grammatical mistakes that people make in writing everyday, and was created and complied by a group of English 304 (Technical Editing) students at West Virginia University.